Israel’s government takes climate change seriously. Here's how. Israeli Energy Minister Yuval Steinitz (Likud) criticized US President Donald Trump's announcement that the United States would withdraw from the 2015 Paris accords. To that end, Israel promised, by 2030, to keep greenhouse gas emissions at about their current levels. Taking population growth into account, the plan amounts to a per-capita reduction of greenhouse gas emissions of approximately 26 percent. 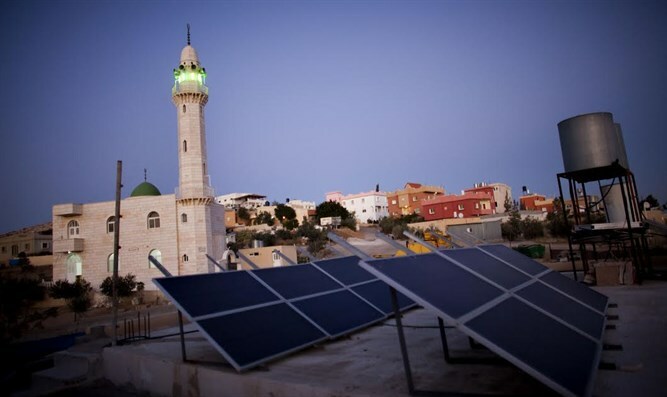 Israel’s plan also included an eightfold increase in renewable energy sources, implementing greener building codes to promote energy efficiency and investing in public transit. At the time, Israeli climate activists called the commitments insufficient. But they welcomed the plan as a first step. Israel’s climate change pledge also played into its self-image as a leader in environmentalism, a country whose founding story includes “making the desert bloom” and rejuvenating forests from north to south. Israel recycles the vast majority of its water, lines its apartment buildings with solar water heaters, and has pioneered agritech innovations to save water and energy. The country also boasts massive offshore natural gas fields that can provide cleaner energy than coal or oil.